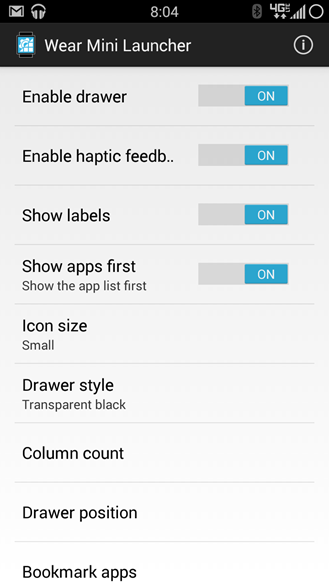 Good grief, the developer behind the Wear Mini Launcher is certainly setting a rapid pace. The app has only been available for a couple of weeks and already it's seen a major update. Today you can download the Play Store beta version (after you've joined the Google+ community, bah) to try out the 2.0 release. The 2.0 update includes options for moving the swipe-in activation gesture to other screen positions. 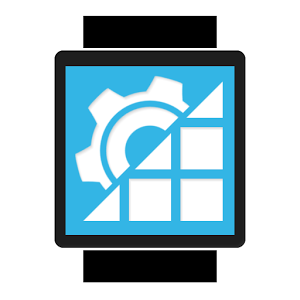 You know, in case your tiny watch-based app launcher needs more customization. Developer Nicolas Pomepuy has posted three alpha updates in rapid succession, also adding phone volume toggles to the Wear Mini Launcher quick settings menu. Frequent tetherers will be happy to see a wireless tethering toggle as well (don't forget to disable it when you're done). Other smaller additions include smoother animations, tool tips for the quick settings menu, and basic crash reporting. 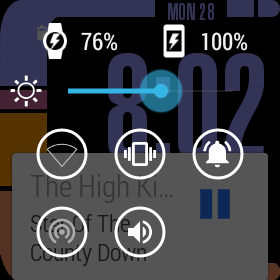 To change the position of the launcher, tap "Settings" on the launcher on your watch, then tap "More on phone." 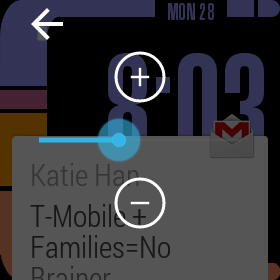 Switch to your phone to see the options in the full-sized Wear Mini Launcher app. 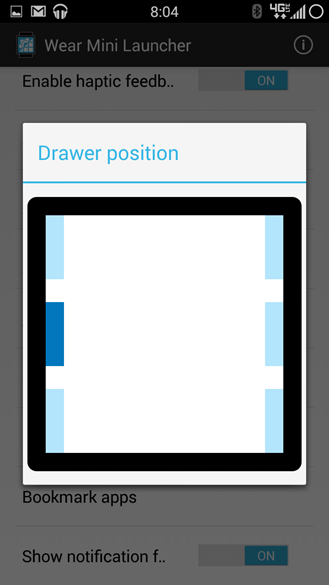 Note that setting the position on the right side of the screen might make it difficult to navigate in standard Wear apps. So far, so good - the only problem I've found is that the tether toggles don't work on my DROID MAXX (a frequent problem that I tend to blame on some custom Verizon code). One last warning: if you don't enjoy frequent updates from the Play Store, you probably want to wait for the changes to hit the main version. [Weekend Poll] Would You Buy A 5.9" Nexus Phone?